If you never had to take the old SAT, you might consider yourself hashtag-blessed. 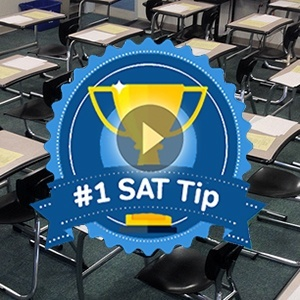 With ten different sections of varying lengths, the old SAT gave plenty of test-takers bad cases of “test-taking whiplash” as students attempted to maneuver between math, reading, and writing skills at breakneck speed. Some sections were only ten minutes long! Thankfully, the new SAT offers students more breathing room. 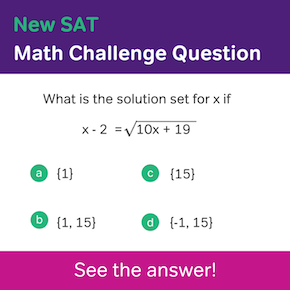 The old SAT tried to manage time for students by hustling test-takers from one subject area to the next. Now, you can work at your own pace. You get to decide how much time you want to spend on each passage. Since you’re now able to handle passages within long sections on your own, let’s look at some ways you can manage all this time on your hands. While working in longer sections gives you more flexibility to move around within each section, it is entirely up to you to keep track of your time. In the Writing and Language section, you’ll have 35 minutes to tackle 44 questions, which are divided into four passages. Even though you have almost nine minutes per passage, it’s smart to practice pacing with only seven minutes per passage, so you give yourself room to deal with tough questions and check your answers afterwards. Which choice gives the most logical introduction to the sentence? Only one word in that whole paragraph is underlined! But, that underlined word is a big deal. It’s a transition from one sentence to the next. If you skip the entire sentence leading up to that underlined word, you won’t understand the context and be able to accurately transition from one idea to the next. Have you ever been watching a television episode and forgotten the name of that great movie an actor starred in when you were a kid? By the time you remember the name, the conversation has moved on! Chances are, a page or two later after you have “changed the channel,” the answer will pop up in your brain as quickly as it disappeared. If all else fails, keep moving! If you spend five minutes figuring out the correct answer to one question, but never get to the next ten questions before pencils-down is called, that one correct response won’t be enough to save you. A more time efficient strategy is to skip a question if you need to, and return to it later. If you choose to skip and come back to a question, be sure to cross out any responses you have already ruled out, to save time when you do get back to the troublesome question. Wearing a non-beeping watch is a good idea for keeping a close eye on the time, even though testing rooms usually have wall clocks. Make sure you aren’t spending minutes on each question. Some problems might take longer than others, but maintaining a steady pace will help you keep moving at a good momentum. You don’t need to spend time closely reading lines that you know don’t contain errors, but don’t skip entire sections of the passage. An avid reader and art enthusiast, Emily has degrees in English from Florida State University and Southeastern University. When she's not editing web content for a local magazine, you’ll probably find her catching up on her Netflix queue or reading a novel with a fresh cup of coffee at a local cafe.